Camera Cool is a awesome App which support Take a pictures, Tag your picture with funny emotion message and places for everyday. 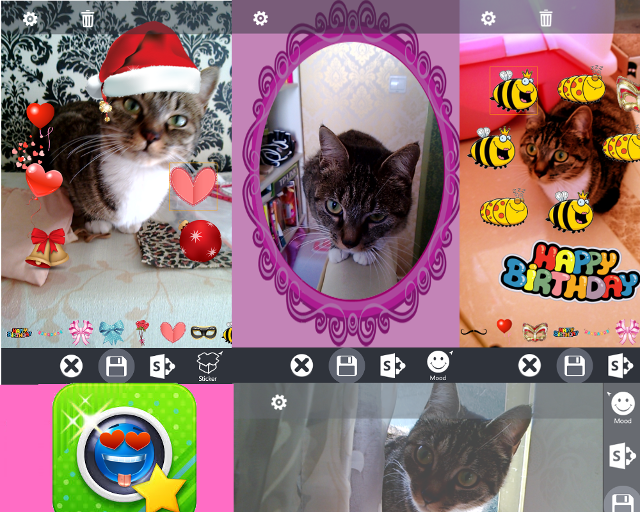 add Beautiful frame, funny sticker, real time effect and shared the photo to social networks. add funny emotion icon and message on your photo. take a pictures with amazing effect in realtime. the user interface support take pictures vertically or horizontally. add 49 Beautiful frame on your photo. allows you to tag your picture with places and allow select near places. support change font , font size , font color, rotate the text. Optional add additional 20 funny emotion icon and 50 funny sticker. added support load photo from phone.